Obituary for Bernadene "Bunny" Frances (Hornacek) Holmes | Campfield Hickman Collier Funeral Home, Inc.
Bernadene “Bunny” Frances (Hornacek) Holmes was born in Barberton, Ohio on February 7th, 1957. She went to be with the Lord on Wednesday, January 16th, 2019.A loving mother and homemaker, Bunny was a remarkable cook and enjoyed preparing meals for her family and friends, most especially over the holidays. She had acquired many friends over the years through her work with the public. Often being the subject of a joke, that a trip to Acme would never be “quick.” Because she would always run into several people she knew.Bunny was a dedicated mother first and foremost. She treasured her children and embraced every moment with them. She especially loved her role as grandmother. 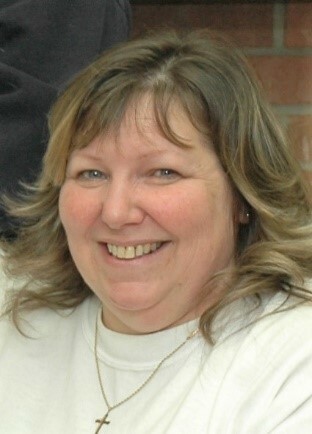 Her selflessness and care for her family will be greatly missed.She was preceded in death by brother, David Hornacek. She is survived by loving husband Richard Holmes; daughters, Kimberly and Krysten Holmes; adoring grandchildren, Kaleb Poling and Kamden Holmes Trent; parents, Lucille and Clement Hornacek; brothers, George (Beth) Hornacek and Paul (Shannon) Hornacek. Also left in her legacy are numerous nieces, nephews, cousins, and friends.Family and friends can pay their respects on Saturday, January 26th, between 1-3 pm at Apostolic Church, 1717 Turkeyfoot Lake Rd., Barberton, OH 44203. A memorial service to follow immediately afterward, with Paul Pamer officiating. In lieu of flowers, donations can be made by visiting https://gogetfunding.com/bunny-hornacek-holmes-memorialfamily-fund/. Donations in excess of the cremation/funeral expenses will be used to fund her grandsons continued education expenses.